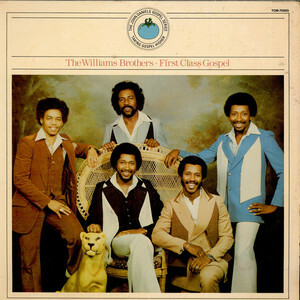 Gospel singing group The Williams Brothers formed in the late 1950s in Mississippi. The group was formed by their father, Leon “Pop” Williams. In the beginning the group consisted of three brothers, Doug Williams, Leonard Williams, Melvin Williams, and their cousin, Henry Green and family friend Maurice Surrell. Later on the group added Derrick Horne, Maulty Jewell IV, Pharis Evans, Jr., Ralph Lofton, Jr., and Terrell Midge Gatlin. They released over 42 albums with various labels during their tenure, and 23 albums charted on the Billboard charts, mostly on the Gospel Albums chart. In the early ’90s through the mid-2010s, they released over two-dozen albums and maintained their presence on the gospel charts with releases like 1994’s chart-topping, Grammy Award-nominated In This Place, 2003’s Grammy Award-nominated Still Here, and 2009’s Grammy Award-nominated The Journey Continues.